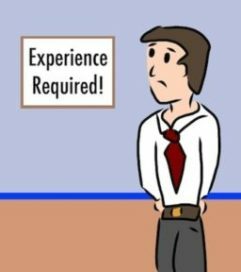 1) How did you first find out about work experience and when? Firstly, I worked at a pharma company then a corporate finance firm and lastly with a technology start-up. Each company I found through researching online but I was offered the job with the technology entrepreneur through a colleague at my previous work. 2) How did you go about researching placements? Any tips you would give people looking for one? Initially I started asking people I knew about the companies they worked for and started to make a list that appealed to me. I would advise making your CV as eye-catching as possible. To do this read as many CV’s as you can and speak to past university students who have already finished their placements. Also, purchase some of the online practice test packs, and even though they may seem tough at first, practice makes perfect. Initially I found verbal reasoning challenging but then you realise a lot of companies repeat their questions so you can become quicker with more practice. 3) What were three bad things and three good things about your placement? Good: Lots of responsibility and ownership of projects which is a hugely rewarding experience. I built a huge amount of confidence because I was communicating and forming relationships with people from all managerial levels. Bad things; My placement did not give me an opportunity to experience other sectors of the business. Even if I could shadow someone for a day in another division of the business, that would have been helpful. 4) Was working in an office very different to what you thought it’d be? And why? Working in an office was different to what I thought it would be in the sense that I liked how you were not in the same desk every day and this gave you the opportunity to speak to people from different teams and different managerial levels. 5) How long is the perfect work experience placement? The perfect work experience placement for me would be 6 months in one sector of the company and 6 months in another sector. 6) Was it a valuable experience and why? My placement was very rewarding and allowed me to develop as an individual. I could go back to university with more of an idea of where I would like to potentially work and the new goals I could set for myself. It also gave me the understanding of people’s career paths and the milestones they achieved to get to where they are. I learned many skills such as; teamwork, leadership, the impact of innovation, confidence and communication. It gave my CV more depth and experience, showing that I was consistently confident enough to develop myself in the business industry. 7) What % of your university class went on a work experience placement? 10%, all of those were in science research, I was the only one who did a business role! 8) Looking back in hindsight would you have done anything differently? In hindsight, I would have made the effort to work in different divisions. Also, I would have tried to get more involved in any company activities they have/charity events as you can meet people, and even managing these events can allow you to develop leadership skills as well as put these on your CV.